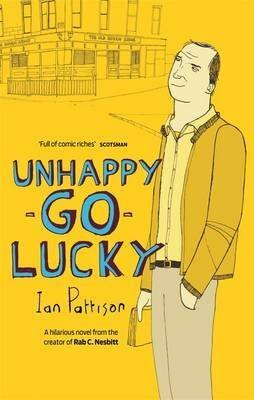 Unhappy-Go-Lucky explores the life of Ivan Moss, a struggling writer who must put his selfishness aside to care for his ailing mother as she battles against lung cancer. Moss is an unfailingly glib narrator whose searing self-awareness wins the reader over. The process of remembering seems suddenly very urgent to Ivan, as he recognises that once a person dies, all of their memories go with them. As he is forced closer to his mother and the prospect of her imminent death, Ivan embarks on a quest to find out more about her past; the hopeful girl she once was before an unhappy marriage to his father. What follows is a fictional memoir of sorts, as Ivan recalls his childhood growing up in deprived Glasgow. The novel is darkly comic, and Moss provides a uniquely humorous commentary on growing up; from the trials of being bullied at school, to his first experience of love, and the breakdown of his parent's relationship. While there are sections of the story which are laugh-out-loud funny, Pattison uses humour to get to the heart of what it means to die. There are a number of profound moments in the book, which feel organic and unforced, making them all the more powerful. This is an incredibly readable book, with unexpected heart.